Over the years, the Oil & Gas industry had come to accept that capital projects involved long execution times, high costs and, in some cases, a high degree of risk. In an era where profits were relatively easy to come by and oil prices were high, project delays and costly project restarts were often considered “business as usual.” In the new world of low commodity prices, and oversupply ̶ however, this “business as usual” approach to project execution is no longer sustainable. These new marketplace variables drive to one fundamental challenge: how Oil & Gas companies can reinvent their business to maintain profitability in a low-price environment. Fortunately, a new approach for improving oil & gas industry efficiency and profitability is now available to facilitate business process transformation and simplification. Advancements in digitization, system convergence, and analytics now make it possible to overcome business barriers that were once constrained by technology limitations and high costs. Consider Distributed Control Systems (DCS), for example. These systems were originally designed to manage process control. In today’s world, the DCS system is capable of much more, such as building efficiencies and value by aligning with other operational areas such as power, safety management, and business systems. The ability to enable convergence of these once siloed domains is enabling an evolution in how these systems can drive corporate profitability. Intelligence embedded in processes and analytics programs that parse through process device data, allow engineers and operators to now make profitability-based decisions. On the engineering front, for example, technology vendors like Schneider Electric offer frameworks and accompanying process simulation tools that focus on “early data” to help mitigate the human error influence on project execution. Data is validated as early as possible in the project lifecycle (according to ARC, about 80% of plant capital costs are fixed in the early stages of a design) so that rework costs further down the line are drastically reduced. Front End Engineering Design (FEED) is an area that’s evolving as a result and, in the process, is reducing costs and providing business benefit across the project lifecycle. Across the area of operations, open and interoperable systems are converging so that profitability, and not technology, becomes the driver for the decision-making. Intelligent Power & Motor Control Centers (IPMCC) serve as a good example of how these systems drive profitability through a combination of improved operational efficiency, improved safety, and improved asset reliability. In nondigitized systems, Motor Control Centers and low voltage systems that are linked to a DCS require many cables and a significant assortment of hardware in order to function properly. In the newly converged digitized systems, an element of “smart” low voltage emerges which enables a reduction of cables, faster commissioning, easier maintenance and an optimized footprint. Such systems are designed around a profit engine functional architecture that combines process and low voltage electrical measurement and control. By closely linking electrical and automation systems, risks are reduced, costs are lowered and process and energy efficiency is improved. Oil & Gas industry leaders now possess the means to address current market-driven efficiency, cost control and profitability challenges. 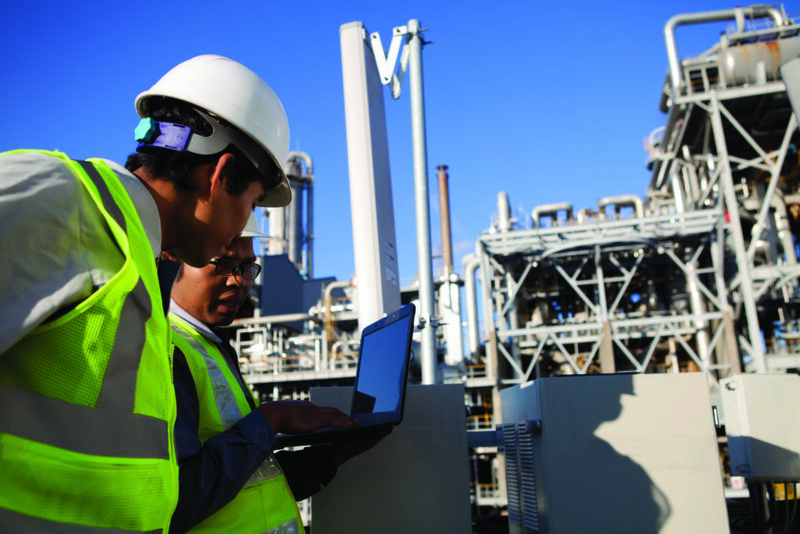 Chevron Oil, for example, used digitalized tools to cut the commissioning time in half, which resulted in $840K in savings. The various systems link together in a synchronized fashion very quickly because communication protocols are standardized. Connected products are designed to identify and communicate with each other automatically through machine-to-machine communication. Field commissioning time for instrument technicians and system integrators was also cut by 20%. By encouraging their executive teams to embrace a business approach that reexamines existing processes and prioritizes standardization, simplification and integration of operations, healthy profits can still be realized, even in an economy where Oil & Gas prices are relatively low.